​Private lessons are an individual training option for people who prefer to work 'one on one'. They can be taken as an addition to group lessons, or as a stand-alone training program. Private lessons can be a great tool for brushing up on weak areas before or after a grading, or to delve into areas of personal interest or on areas you wish to improve on. Private lessons are also a great way to accelerate the learning process since you have the full attention of Grandmaster Kierans for the full hour. One 1 hour private lesson is roughly equivalent to three normal group classes from a grading perspective. So if you missed training due to work, family commitments or holidays etc, you can make up for the lessons missed by training privately. 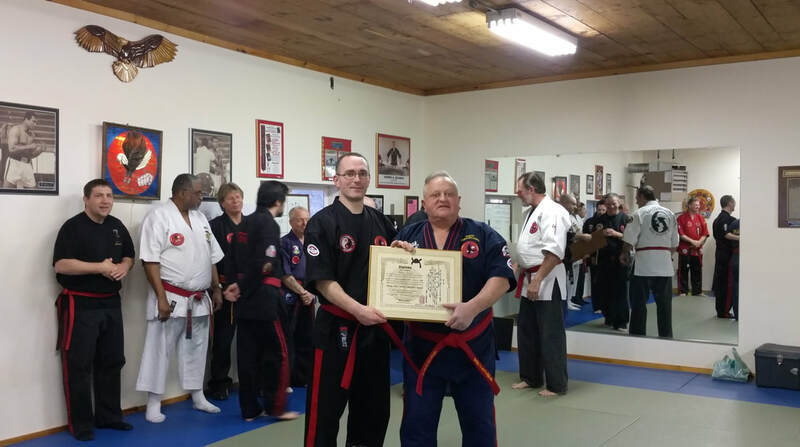 Master Kierans receiving his 7th Dan Black Belt in Ryukyu Kempo/Kyusho-Jitsu from Professor George Dillman 10th Dan at the Muhammad Ali training camp in Deer Lake, Pennsylvania. 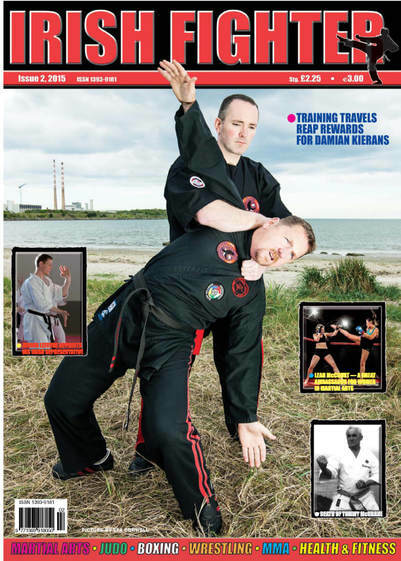 Grandmaster Kierans is regularly featured in Ireland's leading martial arts magazine and was on the cover of the June 2015 edition. ​The current rate for a private lesson is €80.00 per hour (€60.00 for UCAA members). There will be an additional €20.00 per person for any additional person joining the private session. The current rate for a private lesson in Kyusho-Jitsu is €120.00 per hour. There will be an additional €40.00 per person for any additional person joining the private session.